Before TivoliVredenburg opened in 2014, Le Guess Who? had its headquarters at beloved pop venue Tivoli Oudegracht. This year, we are happy to return to our roots with a very special project: Collaboratorium, a musical laboratory where we invite artists to dive deep into experimental territory. Collaboratorium, hosted by American singer-songwriter Cass McCombs, is a gathering of various Le Guess Who? artists who will create, collaborate, and experiment together. McCombs has invited former bandmate Tim Koh to join him on stage, and additional participating artists will be announced during the festival. Tivoli Oudegracht was built in medieval times and originally served as a monastery. But in 1979, a group of squatters occupied the building and eventually opened it to the public as a music venue, called Tivoli. 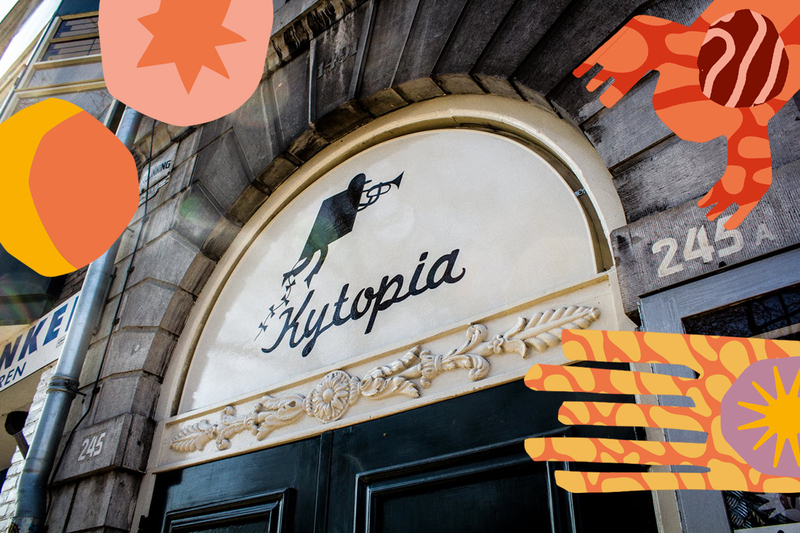 With the move to the new TivoliVredenburg in 2014, the space ceased to be a music venue, and instead became the home to Kytopia, a synergistic and experimental ‘free state’ of creative minds that share their love for music and the art of creation. Behind every door in this age-old complex are studios and workspaces where musicians create and contribute to the musical history of Utrecht--making this the perfect place to begin such a special project. Collaboratorium will take place on Sunday 11 November between 15:30 and 17:00. In 2018, Tivoli Oudegracht will once again serve as a Le Guess Who? festival location, featuring performances from King Ayisoba and Orchestra of Spheres; a Future Feminist Discussion with Kembra Pfahler and Johanna Constantine; as well as Collaboratorium. Tivoli Oudegracht is located at Oudegracht 245. Check out our venue map here.